Poor. Book. 12mo-over 6¾"-7¾" tall. Blood, demons and terror. New English Library 1977. viii + 440pp pb covers & spine rubbed creased, pages browned, fep stained, poor. 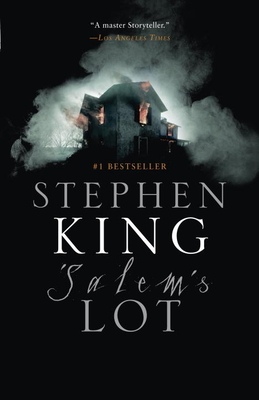 Salem's Lot was written when King was at the top of his game. It may well be his best book of the pure horror genre. I read it when it was first published and read it every two or three years. It is that good. For the reader who is looking for something deeper, I've read that the underlying message might be: What is happening to small town America? Salem's Lot was one of King's early novels and it followed the pre-Twilight formula of how a vampire should act; evil; and they didn't sparkle. How does one say that this isn't King's best work without sounding derogatory? When you consider his body of work, novels and short stories alike, his texts, then you have to understand that mediocre King is still head and shoulders above the rest. This includes a patter that King has kept for the most part in his works, decent people in horrible situations, love found, love lost. And the ending isn't always a pretty one. Would I recommend this book? Hell yes! Any fan of King will not be disappointed and any fan of horror will be a fan of King if they haven't been before. This is a novel that had slipped through my list of King's works without being read. I'm glad I've corrected that. 2nd book i read and wanted more....adding to collection of stephen king. THIS WAS WITHOUT A DOUBT THE COOLEST SCRAIEST WIERDEST BOOK THAT I HAVE EVER READ. IT WILL LEAVE YOU ON THE EDGE OF YOUR SEAT FOR HOURS AND IT HAS ENOUGH TWISTS THAT YOU WON'T KNOW WHAT WILL HAPPEN NEXT.